Bestel We Are Not Okay voordelig bij de grootste kinderboekwinkel van Nederland. Levertijd 1 dag. 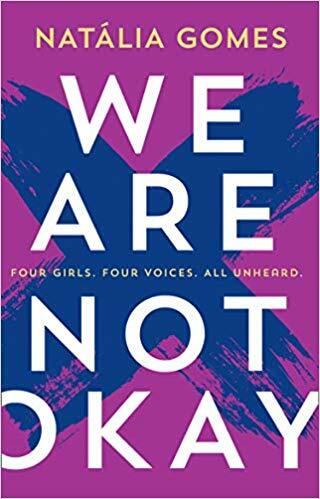 13 Reasons Why meets John Green and Jennifer Niven in We Are Not Ok - a powerful novel about what happens when girls are silenced.If only they could have spoken out.Lucy thinks she's better than the other girls.Maybe if she's pointing fingers at everyone else, no one will see the secret she's hiding.Ulana comes from a conservative Muslim family where reputation is everything. One rumour -true or false - can destroy futures.Trina likes to party. She's kissed a lot of boys. She's even shown her red bra to one. But she didn't consent to thatnight at Lucy's party. So why doesn't anyone believeher?Sophia loved her boyfriend. She did anything for him, even send him photos of herself. So why is she the one being pointed at in the hallways, laughed at, spat at when it was him who betrayed her trust?